Turning to organic food is more popular than ever before. But is your cookware getting in the way of your food’s health benefits? According to a Gallup poll, almost half of all Americans seek out organic choices when they shop for food. In 2016, organic food sales reached an impressive $43 billion. Many people find that the extra money or time it takes to seek out organic food choices is well worth it. However, they might be exposing themselves to health hazards in other, unexpected ways: by cooking with unsafe cookware. Ready to Replace Your Cookware? The dangers posed by some cookware materials can seriously affect your health. Don’t let your efforts to go organic go to waste by cooking with the wrong tools. 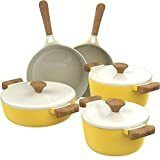 Ready to learn how to choose the safest cookware for your organic cooking? Keep reading to learn how to upgrade your kitchen for safety. You might have been using the same cookware for years. If it seems to be doing the trick in the kitchen, what could be wrong? Or maybe you’ve recently invested in some fancy new pots and pans. Since they were pricey, you might not think there could be anything wrong with them. But even your trusty old favorites or expensive new cookware can hold hidden dangers. As easy example of a surprising cookware hazard is the carcinogenic properties of nonstick pans. 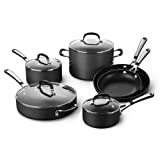 Most nonstick cookware is made using perfluorooctanoic acid, or PFOA. This synthetic chemical is listed as a health hazard by the American Cancer Society. The chemical remains in our bodies long after we unwittingly consume it, and studies on animals have shown how it contributes to cancer and other health issues. Still, stores continue to sell us nonstick pans. This is just one on a long list of potentially harmful cookware materials. If you’re already making an effort to replace your food with organic choices, why not change your cooking tools for safety, too? Cancer is just one of the problems caused by toxic cooking materials. Here are the other risks you’ll be avoiding when you update your kitchen with safer pots and pans. Certain cookware materials put out fumes in the air when you use them. The fumes can result in allergic reactions, breathing difficulties, and other negative symptoms in anyone with sensitivities. Some materials in cooking implements will leach out into your food, such as aluminum. Many people avoid aluminum in products like deodorant because studies have linked it to neurological diseases such as Alzheimer’s. Although the accumulation of aluminum in the body hasn’t been proven to cause these diseases yet, the link is undeniable. Raised cholesterol levels don’t just come from the foods you eat. They are a byproduct of unsafe cookware. 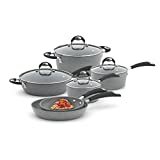 Chemicals in nonstick pots and pans, including the PFOA mentioned above, have been connected to high cholesterol levels, even in children. Perfluorochemicals like PFOA also have links to many other health concerns. Most worrying, perhaps, is that they seem to compromise the immune system. Without a healthy immune system, the body can’t effectively fight off disease. These chemicals also cause problems with the thyroid, liver, and other essential parts of the body’s self-protection mechanisms. As mentioned above, these health problems are present in children, not just adults. Research shows that even before a baby is born, the mother’s PFOA levels can affect development, creating dreaded developmental delays. Once born, these children might miss essential developmental milestones. With these hazards in mind, what kinds of cookware should you keep out of your cabinets? Let’s take a closer look at the materials to avoid in your kitchen. Plastic is perhaps the most obvious kind of cookware to avoid. The same research that’s made many people switch from plastic to glass water bottles should also make you reconsider your plastic cooking tools. Bisphenol A, or BPA, is found in plastic and has been linked to health hazards in multiple scientific studies. When pregnant women consume BPA from plastic, the chemical mimics estrogen and can cause many problems for their children, from breast cancer to infertility. Cooking with plastic should always be avoided. As stated above, aluminum appears to have a connection to Alzheimer’s. The scientific community remains in a heated debate about whether or not these studies are conclusive. Studies have shown that cooking certain foods is more likely to make aluminum leach from pots and pans, though. Vinegar and acidic things like tomatoes will cause more aluminum to get into the food. If you want to make aluminum safer, look for anodized aluminum cookware. Anodizing prevents leaching. However, it’s better to be safe than sorry, so we recommend not cooking with aluminum at all if you can avoid it. Copper cookware may be beautiful, but it’s not completely safe either. This material can also leach from your pans into what you eat. This mineral differs from aluminum in that we actually need copper to be healthy. However, it can soon build up to toxic levels. We ingest copper from many sources already, ranging from copper pipes in the home to copper IUDs in our bodies. In this modern world, we’re much more likely to experience copper toxicity than copper deficiency. It’s best to stay away from copper cookware, so you don’t accidentally consume too much. Between the toxic fumes and the flakes of coating that can get into your food if you scratch the pan, nonstick cookware has lots of opportunities to cause health problems. To make matters worse, the base material for many nonstick pans is aluminum. Once the Teflon is scratched or worn away, the aluminum can start to leach into your cooking. These risks aren’t worth the convenience and ease of nonstick pans. 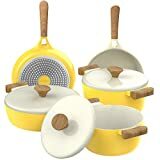 Now that you know what to avoid let’s delve into the best cookware options to replace your old tools. Ceramic is beautiful, rustic, and safe -- for the most part. However, you do need to be careful as some ceramic dishes manufactured in other countries can come with dangerously high lead content. Improperly prepared dishes will leech the toxic metal. You can easily avoid this risk by only buying ceramic tools made in the U.S. or Canada, where regulations prohibit high lead content. Stoneware is another attractive and safe option, as long as you buy stoneware made in the U.S. and Canada. Safely produced stoneware won’t leach at all and is a versatile kitchen choice. However, it is heavy and prone to chipping, so be careful if you use it. Stainless steel is widely considered to be one of the safest materials for cooking. If you buy good-quality stainless steel, it won’t leach or rust. However, stainless comes in many different grades, so make sure you look for food-grade stainless cookware. It would help if you also took care not to wash your stainless steel pans with harsh or abrasive materials since this can reduce the stability of the metal and make it likely to leach. If your stainless pots and pans become damaged, throw them out, because they are no longer totally safe. Glass is surprisingly durable, nontoxic, and environmentally friendly. 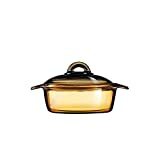 Look for oven-safe glass cookware, as well as glass pots and pans for the stovetop. Don’t forget to replace your plastic food storage containers with glass, too. Cast iron might seem old-fashioned, but it’s a very safe and very effective material for cooking. In fact, it might actually be the most nontoxic material on this list. Since cast iron holds heat well, you can cook with it on a low setting. You'll keep the food from sticking, which is the main reason why people avoid using cast iron skillets and pans. However, cast iron also holds up to high temps, and can even be put in the oven. 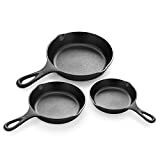 WIth cast iron cookware, the only material that can get into your food is iron. Many people have iron deficiencies even today, so adding a bit of iron to your food from your cookware can actually benefit you. The only reason to avoid cast iron is in the rare case that you have high iron levels already. 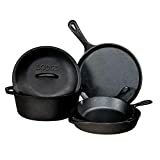 When cast iron is seasoned, it also becomes virtually nonstick. 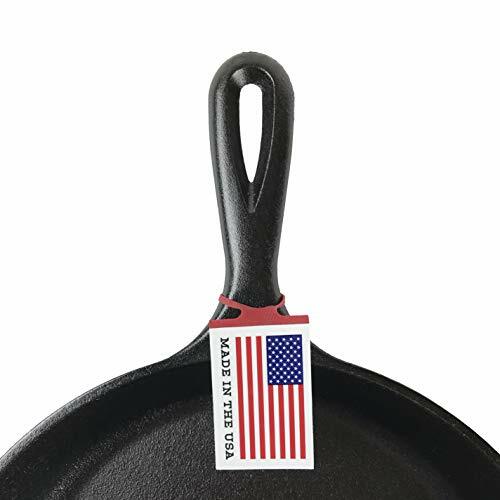 Most cast iron pans come with instructions for seasoning. Essentially, you’ll coat the pan with oil and expose it to heat several times to get and maintain a nonstick surface. It takes a bit of time, but you won’t miss nonstick pans at all with properly seasoned cast iron. 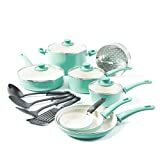 You can also buy enameled cast iron, which is nonstick and dishwasher-safe. Wondering how to start making your kitchen completely safe and organic? Here are the top cookware essentials to buy or replace today, plus our favorite organic recipes for each one. 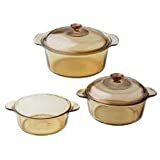 Stockpots are excellent, especially if you’re cooking for a large group or in large quantities. Choose from different quart sizes to meet the needs of your family. 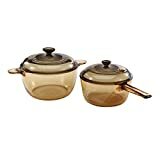 These large cookware items are ideal for making lots of pasta, soup, veggies, or broth. Even if you’re just cooking for one, you can make a big pot of soup and then freeze it in individual portions to consume throughout the year. Look for stockpots made of stainless steel or enameled cast iron. Since you'll heat them for a long time, you don’t want any leaching. If you’re into health trends and love using the whole animal, use your stockpot to make an ultra-healthy bone broth. Bone broth is easy to make, and there are many different variations of the recipe. Start with the bones or carcasses from beef, chicken, or the meat of your choice (this is a great way to use leftovers!). Put them in the pot along with a couple of bay leaves and some chopped vegetables -- try onion, garlic, carrots, and celery. Add a couple of spoonfuls of salt and vinegar, cover all the ingredients with water, and cover the pot. Cook everything on low. Beef takes about 12 to 24 hours, while poultry finishes in 6 to 8. Skim the top of the broth every once in a while as it cooks. After the broth cooks, pour it through a fine strainer and throw out the solids. Add salt to taste, and refrigerate or freeze. A skillet is another essential part of a healthy, organic kitchen. Again, the sizes vary. Try a small skillet of eight inches or less if you’re cooking for one or two people and a larger one of 10 to 12 inches for a big family. You’ll use your skillet for all kinds of basic cooking. They’re great for pancakes, eggs, stir-fries, and more. You can even use a skillet to reheat food, avoiding the microwave. Cast iron skillets are a healthy, failsafe option. Buy enameled cast iron if you want cast iron that is also easy to clean. If you want a lighter weight skillet or are on a budget, try stainless steel or glass instead. Skillet-cooked scrambled eggs are a morning staple. However, not all scrambled eggs are created equal. To elevate your eggs, use fresh organic eggs -- they always taste better. Whip the eggs thoroughly: the more air that gets in, the fluffier they’ll be. Add a touch of salt, and cook over low heat with some melted butter. Push the eggs around with a spatula (made of a heat-safe material like bamboo) until the eggs have mostly set. They’ll set the rest of the way after you stop cooking them, so don’t overdo it. How could you make great sauces without a great saucepan? Again, choose from different quart sizes depending on the size of your family. In a saucepan, you can cook rice and other grains, beans, and every kind of sauce you can name. 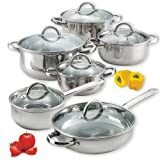 Stainless steel and glass are two of the top saucepan materials. Tomato sauce is a staple in French, Italian, and many other beloved cuisines. Organic tomatoes offer the sweetest, juiciest flavor for the perfect tomato sauce. Marzalla Hazan’s famous tomato sauce recipe involves just four ingredients. Start with peeled tomatoes (you can try fresh instead of canned, too). Cook them in a saucepan with butter, a halved onion, and a pinch of salt. Simmer the ingredients, then bring the heat down to low. Throughout the cooking process, use a spoon to crush the tomatoes, and stir the mix occasionally for 45 minutes. When drops of fat start to show up on the surface, the sauce is ready. Throw out the onion halves and serve the sauce with your favorite meats, pasta, and more. Once you’ve invested in the big-three essentials of stockpot, skillet, and saucepan, you’ll want to upgrade the rest of your kitchen, too. From stovetop tools to baking sheets and pans, you can make every last item in your kitchen safe for you and your family. The key to replacing your cookware without breaking the bank is to start with the essential items, then replace things one by one after that. However, if your old cookware gets damaged, such as scratched Teflon, then it’s extra dangerous and should get replaced right away. Which organic recipes will you try with your new, healthy cookware? Let us know in the comments! 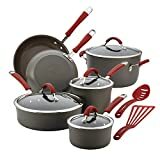 What is the Best Pot and Pan Set For Your Organic Lifestyle?